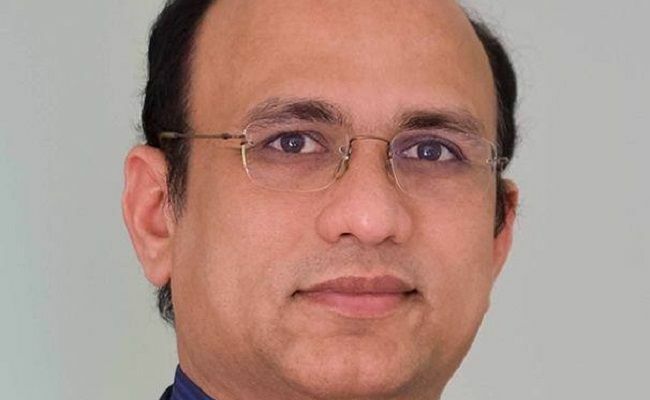 Parmesh Bheemreddy, who played a key role as the convener for the success of the Philadelphia convention of the American Telugu Association in 2014, has now become its president. The association, known by its acronym ATA, is a premier umbrella organization of people who speak Telugu in their adopted land of America. The ATA board held its meeting at the Venetian Hotel in Las Vegas, Nevada, on Saturday, January 19, when Bheemreddy was sworn in as president of the organization. The meeting was attended, among others, by the board of trustees, past presidents, advisers, standing committee heads, regional coordinators and directors. 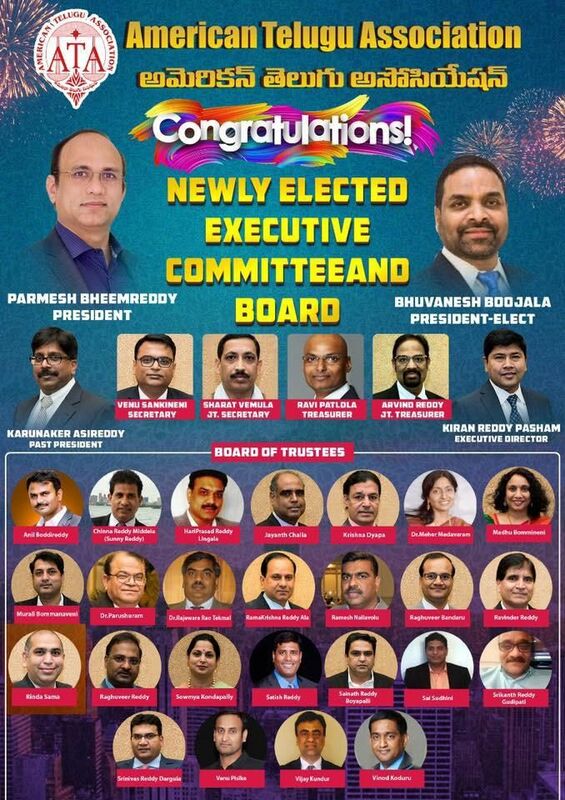 Along with Bheemreddy, who is based in Delaware, a new board of trustees was also installed at the meeting attended by a total of 150 delegates from across the US. In their presence, President Karunakar Asireddy passed the baton to the new president. ATA expanded its trustee board members to 31 from 27 following the toughest competition from among its members in the history of ATA, which came into being in the early 1990s. Eighteen of its trustees from three categories were elected unanimously. The following are the 18 members: Arvind Muppidi, Satish Reddy, Venu Piske, Ravi Patlola, Madhu Bommineni, Sainath Boyapalli, Ramesh Nallavolu, Srinivas Dargula, Vijay Konduru, Venu Sankineni, Srikanth Gudipati, Hari Lingala, Sunny Reddy, Sai Sudini, Ramakrishna Reddy Ala, Anil Boddireddy, Rajeshwar Tekmal and Meher Medavaram. The new trustees will be in place for four calendar years beginning 2019. Bhuvanesh Reddy Boojala, from Virginia, was chosen unanimously as president-elect. He will serve as the president of ATA for 2021 and 2022. In his presidential address, Bheemreddy vowed to preserve and strengthen the Telugu heritage in the US. He also promised to promote further literary, cultural, educational, social and economic as well as religious activities of the community mentioned in the ATA constitution. He unveiled the vision and action plan to be undertaken by the new committee under his leadership, which runs through 2019 and 2020, when a convention is scheduled. Counseling the community on education, immigration, student jobs, free online SAT training, college education procedures, webinars on various topics, medical/dental camps for senior citizens and visitors, matrimonial services and emergency services are among the subjects to be focused. The organization introduced an ATA Foundation Scholarship program for college students beginning this year. ATA has also introduced a matrimonial service, which is an important feature as the community is growing significantly in the US. The new president thanked Asireddy, the immediate past president, and his team. He congratulated them for their successful term during which the 2018 Dallas convention was conducted. It was also pointed out that ATA spread its wings to Boston and Nashville.